5th Kyoto World Water Grand Prize: Winner decided! The prize has been established in 2003 by the City of Kyoto and the World Water Council and held with the World Water Forum which is the international conference held once every three years. Since the 4th Grand Prize in 2015, the Prize has been co-organized by the World Water Council and Japan Water Forum. For more information of the prize, please visit here. After careful screening of the applications by Japan Water Forum and prize committee, Charité Chrétienne pour Personnes en Détresse (CCPD) is selected as the winner of the prize. CCPD will receive 2,000,000 JPY as prize money at the closing ceremony of the 8th World Water Forum in Brasilia, Brazil. 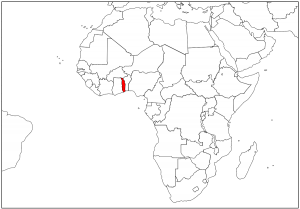 Background: Water and sanitation in the community is in a difficult situation because there is neither a water supply system nor a sanitation facility. People fetch water from ponds and river, and defecate in the open. People fetch water from river TALAN for drinking, cooking and washing purpose. However, the water of river TALAN is polluted with all manner of human, industrial and household wastes by riverside residents. In addition to that, households, primary schools and health center in the community are not equipped with latrines. 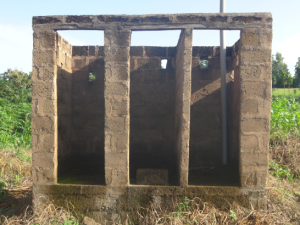 The existing VIP latrines in the secondary school has been abandoned for long time and is inappropriate for use. 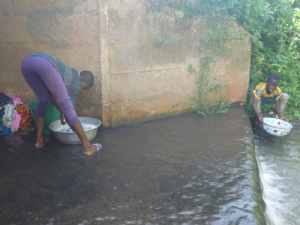 The use of dirty sources of water, lack of water supply and the poor sanitation facilities expose people, especially women and children who are the most affected to infections such as cholera, dysentery, diarrhea, intestinal worms and typhoid fever. Contents of the project: Ensuring safe drinking water, improvement of hygienic environment and awareness on water, sanitation and hygiene through construction of wells, ECOSAN toilets and hand washing facilities and education programs and training on operation and maintenance. Existing VIP latrines in secondary school are abandoned. We deeply appreciate sponsor companies', juries' of the prize committee and all applicants' kind support, understanding and interest. Thank you.